At the Whole Foods opening, I picked up a bar of Alaffia Good Soap in the Sweet Vanilla scent. I'm not usually a bar soap person but a woman in the store convinced me to try this. I'm so glad I did because it's amazing! It doesn't dry out my skin, smells really good, and lathers up great. 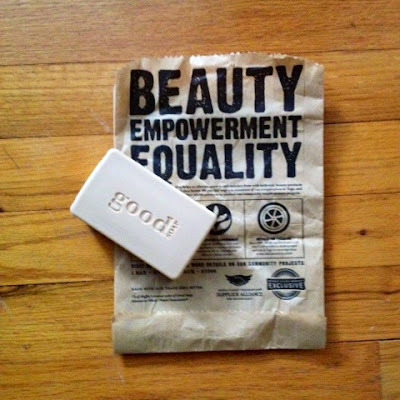 It also supports a great cause (empowerment of women) and is made fair trade which is becoming really important to me. Check it out exclusively at Whole Foods.